Oh boy, do I have a special treat for you, and especially all the dad’s out there! Father’s Day is just around the corner and I decided that I needed to do something creative for my sweet husband for Father’s Day. 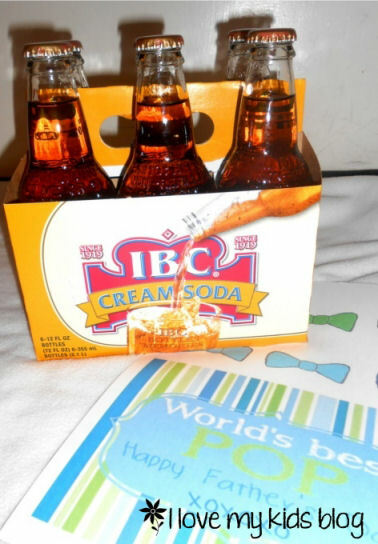 So I thought about it, and it involved a 6 pack of Soda, and some sweet homemade printables. I couldn’t wait to get to work and make these printable tags. I loved them so much, I thought I would share my printables with you! This is a GREAT Father’s Day gift and it’s totally last minute as well! I hope you enjoy these, I know your hubby will. 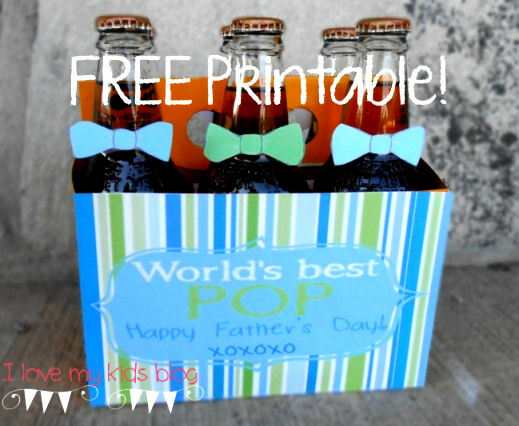 HERE ARE THE FREE PRINTABLES!! I gave you guys 2 options, aren’t I nice?! All you need to do is find the printable you like best (out of the two) and print the 2 pages. 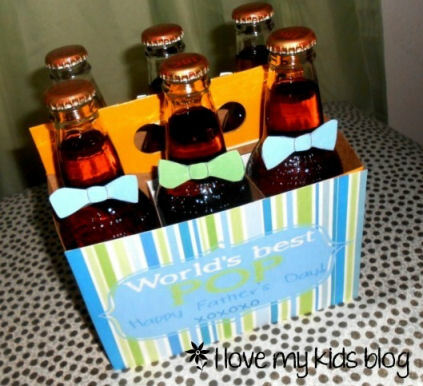 Then cut out the bow ties and labels and tape or glue them onto the 6 pack of soda and bottles. I gave you two pages, so you can do both sides of the bottle holder. Thank you!! I made this for my dad, who is impossible to buy for, and it looks great! !